Featuring Georg Baselitz, Pablo Bronstein, Rhys Coren, Michael Craig-Martin, Ian Davenport, David Nash, Paul Noble, Julian Opie, Cornelia Parker and Clare Woods. A new exhibition at the Alan Cristea Gallery will present recent print projects by Georg Baselitz, Pablo Bronstein, Rhys Coren, Ian Davenport, David Nash, Paul Noble, Julian Opie and Cornelia Parker, as well as hand-painted collages by Clare Woods and a new LED lightbox by Michael Craig-Martin. Some of these artists are new to the gallery; others have long-standing relationships with Alan Cristea. Paul Noble's (b. 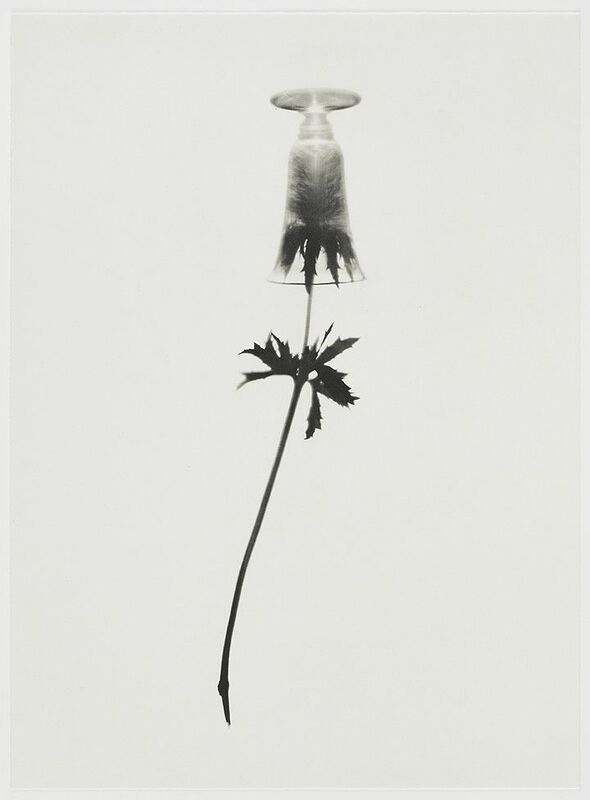 1963) first print project with the Alan Cristea Gallery consists of a set of six etchings. 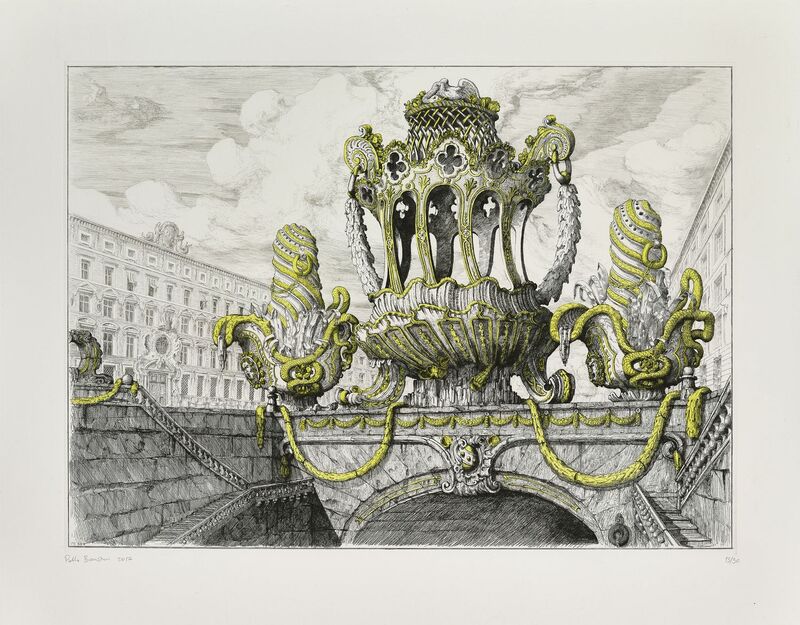 Noble has taken details from his monumental drawing project Nobson Newtown, and has carefully redrawn them into a copper plate using drypoint and aquatint to create elaborately complex, beautifully detailed, surreal scenes, entitled To ease to 'ell one needs two N's, 2017. 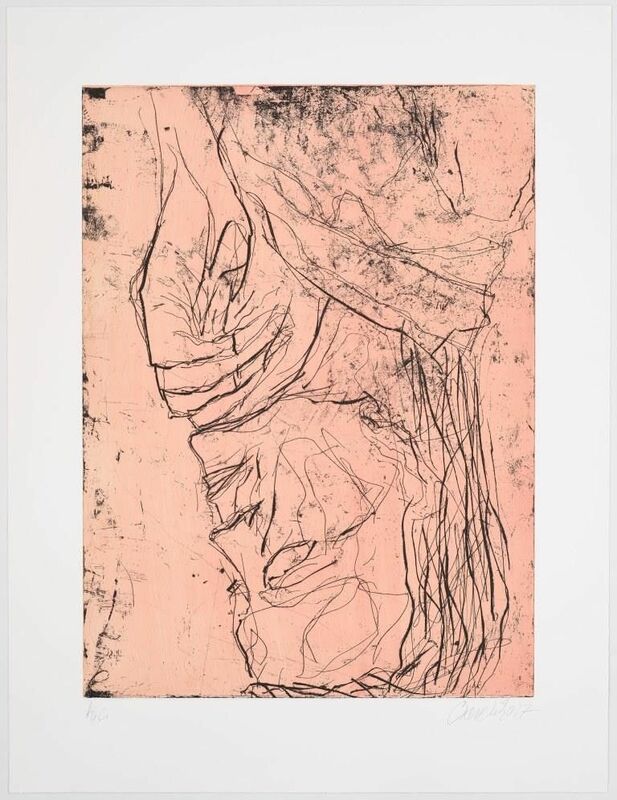 Our first suite of prints with Georg Baselitz (b.1938), one of the most important painters and printmakers working today, is entitled Elke I - IX, 2018. 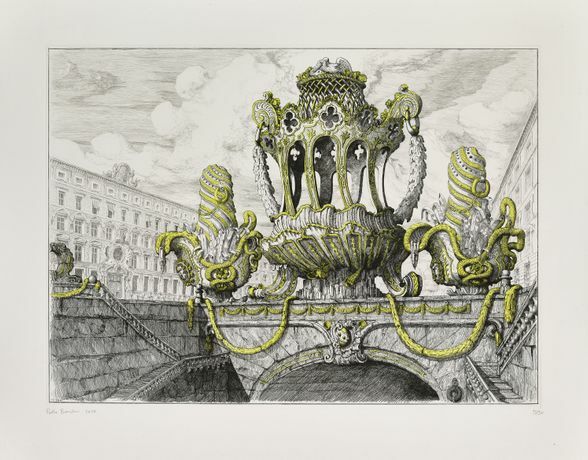 A selection of these etchings will be displayed together with Pablo Bronstein's (b.1977) first edition with the Alan Cristea Gallery, inspired by eighteenth-century architectural engravings, and his own personal collection of eighteenth-century silverware. Cornelia Parker (b.1956) who continues her exploration of found objects presents a new photogravure etching, Glass and Thistle, 2018. The natural forms of David Nash's (b.1945) sculpture, where he takes fallen trees which are then carved, charred and sometimes cast, are reflected in his new pastel stencil editions which include Blue Stack and Red Castle, 2018. Clare Woods' (b. 1972), whose work is described as 'sculpting an image in paint', draws inspiration from sculpture, portraiture and still life for a new series of hand-painted collages, including Collage for Old Noise, 2018. 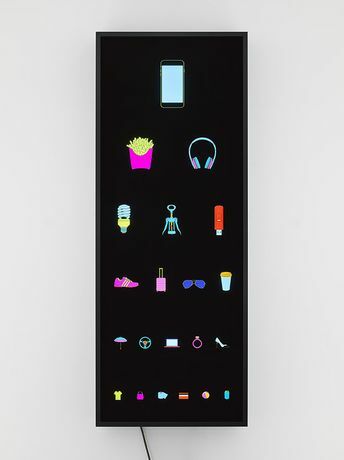 Figures from Melbourne Statuettes., 2018, a new series of freestanding black bronze statuettes by Julian Opie (b. 1958) illustrates people in Melbourne, where Opie will have his first major solo museum exhibition in Australia in November 2018. Michael Craig-Martin (b.1941), who has developed a distinctive style over the past 50 years through the compilation of a whole vocabulary of objects, has realised his latest idea via an LED lightbox, entitled Eye Test, 2018. Our first print project with Rhys Coren (b.1983), a set of five screenprints, is inspired by music. Coren explores rhythm, colour and texture in work that is characterised by grids of colour, shadows and the interplay of lines. These prints will be shown together with a unique etching by Ian Davenport (b.1966), from his Colourcade Buzz series, which incorporates chine collé. The Print Project Space presents an ongoing programme of public displays featuring prints and editions by the gallery's roster of international artists.